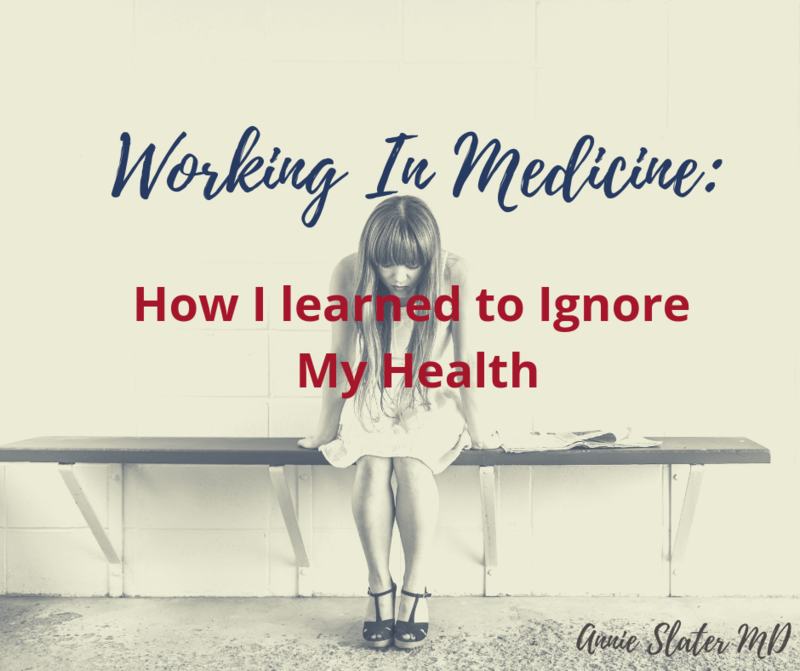 This begins a three part series about working in medicine, how we have a hard time taking good care of ourselves, and what happens when we don’t. This is the conversation I had last week with one of the doctors that was taking care of me after I was admitted to the hospital for pre-term bleeding. I feel like I am repeating myself when I say, I was 30 weeks and had just finished a long shift in the ED when I started bleeding. Unfortunately, this is exactly what happened. It was a very similar experience to the one I had during my last pregnancy. I was feeling good, I had no pain, but after working all day, I started to bleed. This time it was 3 am. I was getting ready for bed, and right before I left the bathroom, I felt liquid down my leg. I thought to myself, “please don’t be blood, please don’t be blood.” Then I turned on the light, and there were large red drops spattered on the tile. What has been so shocking to me is my reaction to this chain of events. I, like many of my colleagues, pride myself on my resilience. I am also proud of the amount of ‘grit’ I have developed throughout my career and my ability to “power through” challenging situations. I am a hard worker who is passionate and I truly love my job. I do not see myself as weak or incapable or often needing help. But this, this was different. The first night I was in the hospital, I thought, this is no big deal. We will be able to go home, I go back to my normal schedule, everything will continue as planned. I had developed an intricate, well thought-out work schedule to slowly decrease my clinical time as I got closer to delivery. This included me working close to resident hours during my second trimester to get all my clinical hours in. However, in the hospital, each day passed and every doctor that I saw (there was a different one every day) used increasingly urgent language to give their professional opinion and recommendations about my plan. They all recommended I didn’t go back. That was not the message I wanted to hear. When the conversation was put in the context of my health vs. that of my patient’s health, I had a bit of an internal crises. I certainly hadn’t thought of it like that. Up until this point, I still was thinking about what I was comfortable with. About how I was going to communicate the fact that I would need to slow my life down a bit, how I was going to advocate for myself and how uncomfortable that made me. The very thought of taking my health and well-being and putting it to the top of the list was agonizing. I struggled to sleep, and for the first two nights I woke up crying, thinking about how I would never forgive myself if something happened to the baby while working. These thoughts were juxtaposed with my compulsive feelings to finish what I started, to not ask for help, to ‘soldier on,’ as I was used to, as I was trained. It also was apparent to me that my personal self-worth was inextricably linked to my ability to perform my job. These intense feelings have led me to consider their origin and to subsequently trace the trajectory. Somewhere in the medical school, residency, fellowship training and then as an attending I stopped caring about my own personal health. You hear this all the time. Doctors are very good at taking care of others, but few of us have regular doctor’s appointments, and few of us take our own health seriously. Until we can’t ignore it anymore. To be honest, I am not sure when it started. In my experience, in training, we are never told that it is ok to be sick or that it is ok to take a day off. Instead, the culture is one of reprimanding us and in combination with being judged for time away makes us never want to take time off, and also to be fearful of needing it. As a medical student, this manifested itself as I worked through cough and cold season…priding myself on finding just the right combination of medications to get through the day without coughing on everyone or passing out, and doing it while not needing any additional rest. In residency, I prided myself on my near perfect work schedule and never needing to call in sick. Co-residents who struggled with the schedule or with being pregnant during this time were labeled as ‘weak,’ and were whispered about behind their backs. During this same time, when I made a mistake and mis-scheduled my vacation time (as I have detailed before), the hard work and dedication to my job didn’t matter. I moved mountains to get my schedule covered, but my program director didn’t care, and I had to live with traveling across the country to see my family for a weekend instead of a week. I realized in this moment that my needs didn’t matter, my mental health didn’t matter, the job was more important. When I got to fellowship, I do believe the system was more forgiving, but I had already learned some pretty significant behaviors about caring for myself. One early morning before a shift, I was vomiting, and came to work anyway. I continued to vomit every 30 minutes to an hour while on shift which I mitigated by getting IV fluids and anti-nausea medications from the nursing staff in the back between seeing patients. Eventually I was told to go home, but not before being admonished by the attending that was replacing me, she said she was having bad diarrhea, but “I guess I’ll come and replace you.” As if I was weak for leaving. As an attending I had a miscarriage and an overwhelming feeling as though I couldn’t tell anyone. My D&C was scheduled on my day off, and my emotional recovery was put on the back-burner. I didn’t know how to prioritize my health and well-being. When my second miscarriage happened I used the only 24 hour period I had off consecutively to take misopristol, which induces bleeding. The next day I returned to work, still bleeding, still cramping, and emotionally numb. When we are pregnant, however, we are no longer only in charge of our own health. We now have the health of the baby to think about as well. The problem is that this way of being feels so out of alignment with our core self that it feels wrong. I believe we can intellectually understand that slowing down or listening to our bodies will help the health of our baby, but it doesn’t translate into our actions very often. We have been able to force our bodies and selves to do amazing things, like 30 hour work days, 80 hour work weeks, living on little sleep and poor nutrition. We don’t understand that this is wrong, or that it should change when we are pregnant. Our babies need us to take care of ourselves, which we aren’t used to doing. And I breathed a sigh of relief, and I cried with gratitude that someone else had made the decision for me. So now, I am taking the month of December off. I am eternally grateful that I won’t be anxiety-ridden walking into the hospital. That I won’t spend my time working a shift and worrying about whether or not today will be the day that I start bleeding. I won’t spend my time thinking if I do start bleeding, whether I will call an ambulance or drive myself to the hospital, hoping I don’t hemorrhage on the way there. I know I am not the only one who has struggled with this. Do any of you have stories to share?